Ice Skating is fun! When you learn proper techniques and new skills the sport becomes even more enjoyable. 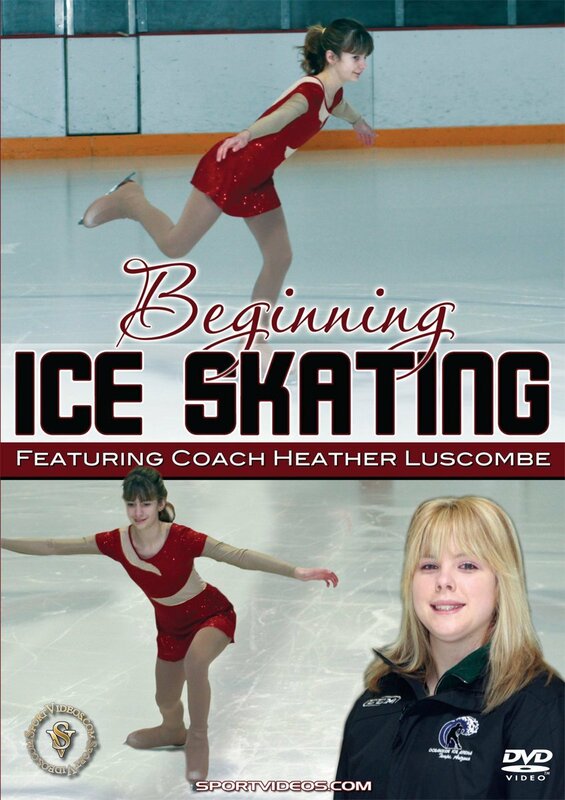 In this entertaining and informative DVD, Coach Heather Luscombe will help improve your skating skills on your way to becoming a confident and capable skater. Among the topics covered are: skates, safety, marching, stroking, glides, swizzles, stops, dips, hops, turns, crossovers, spins, edges, spirals, arabesque, attitude, lunges, mohawks, jumps, pivots, the Dutch Waltz and much more. This DVD is an essential guide to participating and excelling in the wonderful sport of ice skating. About the Coach: Heather Luscombe is a member of the United States Figure Skating Association and the Professional Skater's Association. She has been trained by many great coaches including former Olympians and world-class skaters. Heather has competed in numerous competitions as a competitive figure skater. She also has experience in lyrical/modern dance, ballet, hip-hop, and tap, and has studied dance and acting for several years. Currently, Heather is the director of the Learn to Skate program at Oceanside Ice Arena in Tempe, Arizona.